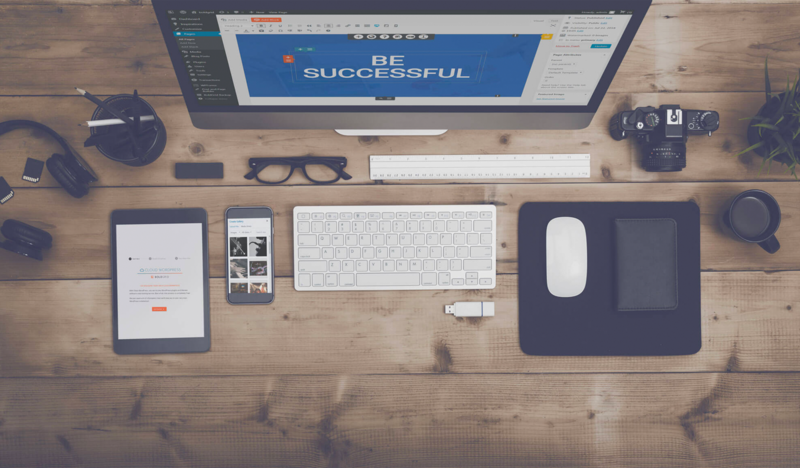 There wasn’t an easy way to create, build, grow and manage professional WordPress websites. So… we built one. BoldGrid’s robust web design tools allow you to focus on creating beautiful websites, while automated website maintenance tools handle everything else. Wherever your inspiration leads, BoldGrid gets you there faster. And… you are welcome. Instantly launches WordPress in the cloud. 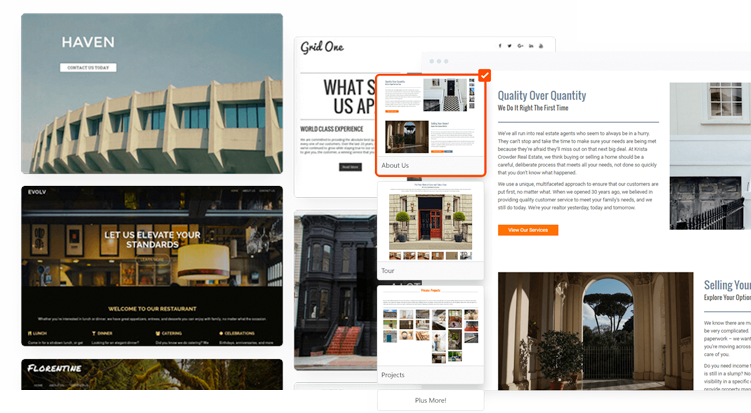 Inspirations has 200+ customizable website templates, organized by industry and interest, and a guided setup to help pre-populate important site elements. Beginners can get an entire site online within one day, while advanced designers can use Inspirations as a starting ground. 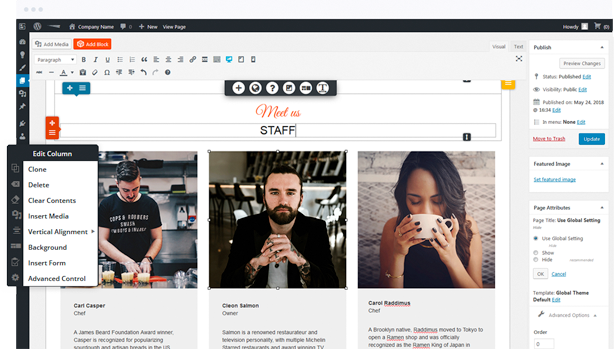 Page and Post Builder, our drag-and-drop editor that allows you to build visually without shortcodes or coding on ANY theme. Build pages lightning-fast with blocks, automatically generated page sections pre-populated with content that fits your design perfectly. BoldGrid Backup is an easy-to-use automated backup, fault protection and migration solution. 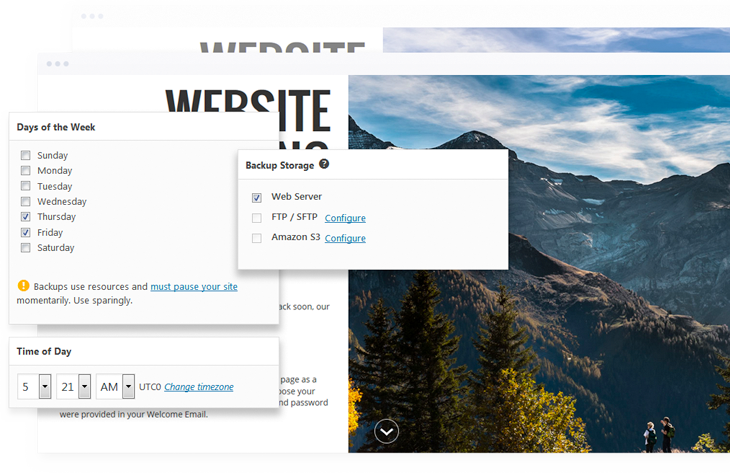 Backup also automatically identifies faulty updates that crashes your site and restore it to the latest backup. 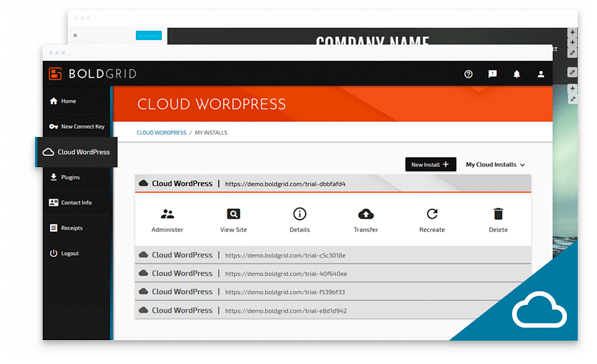 CLOUD WORDPRESS allows you to deploy full-featured WordPress installations in the cloud with just a few clicks. Test prototype themes, plugins and websites. Easily share installations with others. 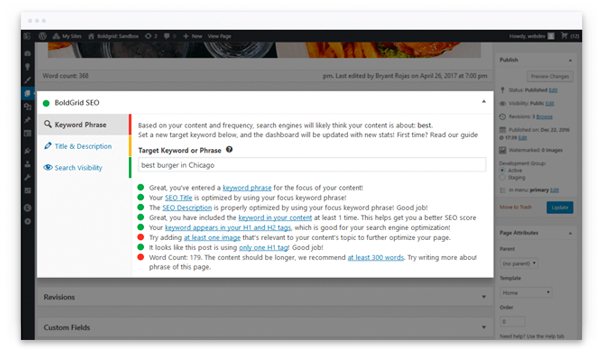 BoldGrid SEO analyzes your content in real-time and advises you on important SEO factors, ensuring your website ranks highly in the search engine results.